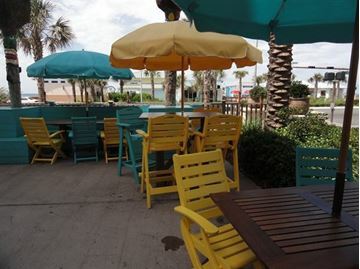 Replace your old, tired wooden outdoor dining furniture with our modern technology recycled plastic bar height chairs! These commercial recycled plastic bar stools keep the same traditional style as wood, but won’t fade, chip, or splitter. The bar stools are made from strong HDPE lumber, which is constructed from a blend of repurposed materials, UV inhibitors, and a color mixture throughout, that will last years in demanding elements. 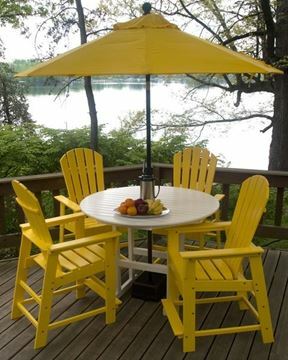 We offer many of the same design for our recycled plastic chaise lounges, patio chairs, and dining tables, so you can furnish your whole pool deck with the same theme. 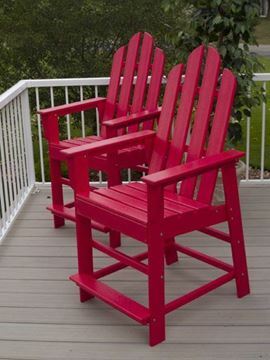 Support the environment and America by investing in long-lasting recycled plastic patio furniture!